Real life cartoon void/Looney tunes hole in the ground by ocannoli and sapeck. Imagine like in old looney tunes or hanna barbera cartoons when a character could create a hole and disappear. This augmented reality would be a simulation of that, a personal hole transport creator. Possibly could be implemented so a user can create there own portal anywhere at a whim and when they jump through their environment changes. lass and weirdie created a "friending machine" that dispenses both candy and new friends. 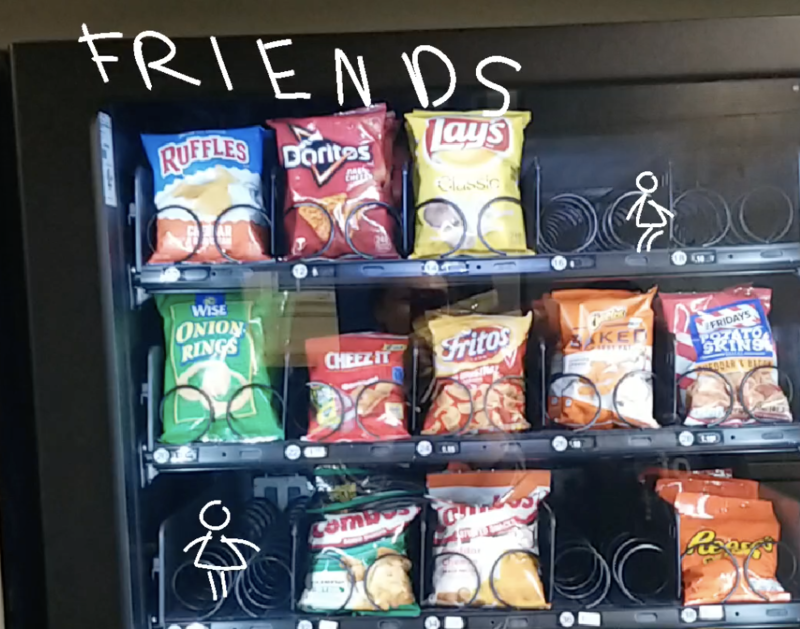 This project would be an AR installation using a series of vending machines. Viewers would be able to see small characters waving at them from inside as they passed by. They would be able to operate the vending machine using special coins that the vending machine would be able to pick up, and the machine would dispense a "friend". 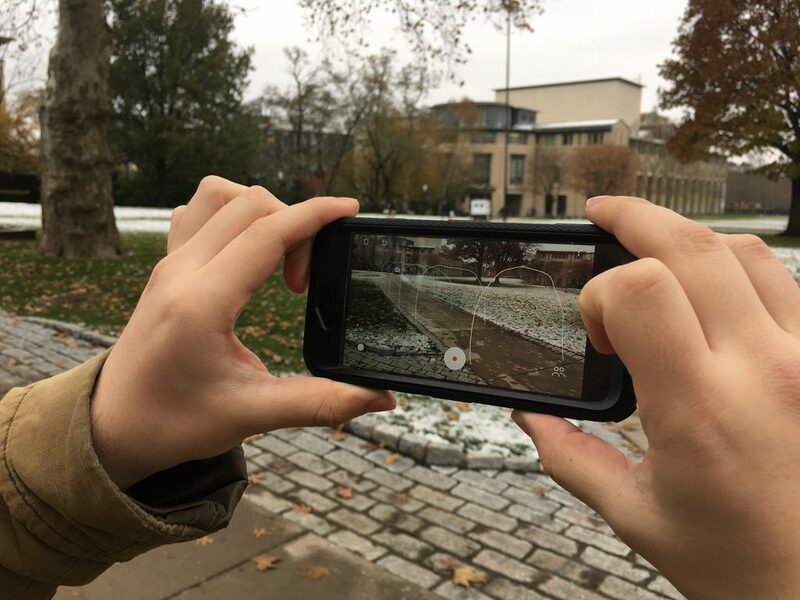 This AR experience adds playful and creative elements on top of the classic statue. We were imagining people experiences this in a more serious museum setting. By adding creative components to the statues, the audiences are able to apply their own imagination on top of a well-recognized piece, potentially changing the original aura and meaning of it. This could easily be turned into a shared experience where people exchange their re-imagination. Making archways along the cut with Breep and Chromsan. The idea would be to create a series of virtual arches for people to walk through along the cut, making a digital enclosure around an otherwise open space. Player 1 starts by "hiding" coins around the area. Coins can be drawn anywhere. Player 2 finds the coins by circling them. Game ends when all coins are found.